The most important part of your sports car is not the engine, brakes, or suspension; it’s the tyres. Your sports car can perform only as well as the tyres you’ve put on it can. Unsurprisingly, the tyres you choose must fit the wheels properly, and you can find out your car’s tire size by consulting the car’s manual. Tyre companies spend millions of dollars to perfect their products, and naturally, sometimes tyres can cost a small fortune. Are they really worth the price? That depends on you, and you only. You need to know what exactly you want to do with your car. If you want to drive it around just for fun, even budget tyres will prove to be a good choice for you. If speed is in your blood and you’re a daredevil, then you need to take a look at mid-range and premium branded tyre offers. What’s the difference between mid-range and premium branded tyres? Mid-range tyres are right between premium branded tyres and budget tyres. They’re often good for general use because they are able to lower your fuel consumption and they don’t wear out easily. Basically, mid-range tyres come from the same technology researched for premium branded tyres, but they’re made with the cheapest materials possible. Comprehensible steering when performing extreme manoeuvres. 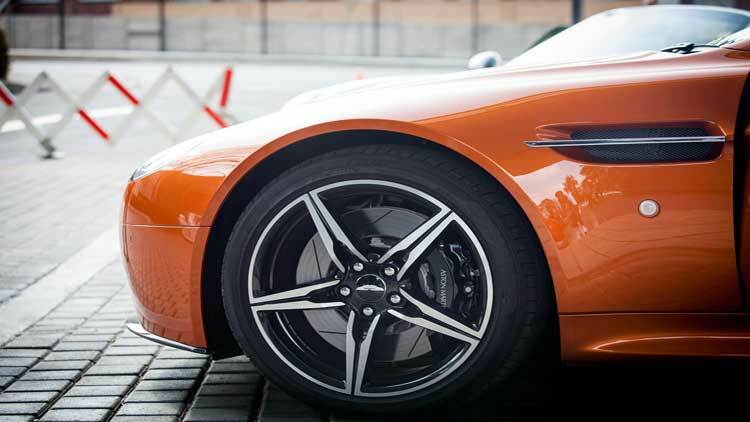 Choosing the best tyres for your sports car can truly be a complicated business because there are many types of tyres available for virtually any car ever made. Just remember that it doesn’t matter how expensive or fast your car is if you cheap out on tyres because they are the only part of your car that actually touches the road at all times. Consider your budget, buy quality tyres that’ll serve you well, and drive safely in all conditions.